What is SEO? SEO is short for Search Engine Optimization. Search Engine Optimization is a set of best practices that website owners and designers follow to help them achieve a better ranking in search engine results. Where a website ranks in a search is essential for driving more traffic toward the site. SEO can help a small business build its brand and expand its reach, which will ultimately increase its revenue. But you can't do SEO right without a set of tools to track and measure your efforts. These simple tools will help you improve your small business SEO. Check all images from your webpage for "alt" attributes. Using keywords and human-readable captions in image "alt" tags is a good SEO practice because search engines cannot 'see' the images, but they can read the description of your images in your image "alt" tags. 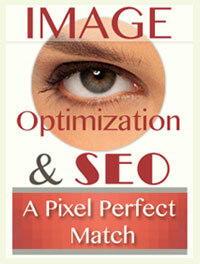 See your website the way a search engine sees it. 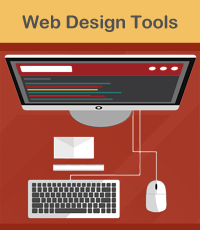 Enter your website and this tool will reveal your website the way search spiders see it. Use this tool to check for duplicate content issues. The Similar Page Checker will give you a score of how closely the HTML of two pages resemble each other. Open Site Explorer is Moz's Search Engine for Links. You can discover the backlinks to your website for free. Google Trends can show you changes in the search volume for keyword terms you are including in your content. Are your keyword phrases becoming more or less popular over time? Google Trends can help anser that question. With this free SEO tool, you can check your on-page SEO. It will give you tips to improve your score. KWFinder is an easy-to-use keyword research tool. Find long tail keywords with low SEO difficulty. Free accounts include 5 lookups per 24 hours and 50 keyword suggestions per search. Whether you're a business owner looking to raise brand awareness through SERPs or an aspiring digital marketer learning the basics of SEO, this tutorial and infographic will help guide you towards web success. XML sitemaps are a powerful tool for SEOs, but are often misunderstood and misused. Taxonomies, basically, are how a group of things are organized. In WordPress, Taxonomies (Categories and Tags) are used to organize Posts. This is beneficial for user experience, but can often be seen by Google as duplicate content.